An image is a 2D matrix of pixels. Each pixel is composed by one or more 32 bit floating point precision values known as channels. Images flow through the PixaFlux node graph as IMAGE node value type. Image Properties are the values that define how the image is integrated in a PixaFlux project. One of the main advantages of PixaFlux is that the image properties can change as they flow through the node graph. The image size is the width and height of the pixel array. 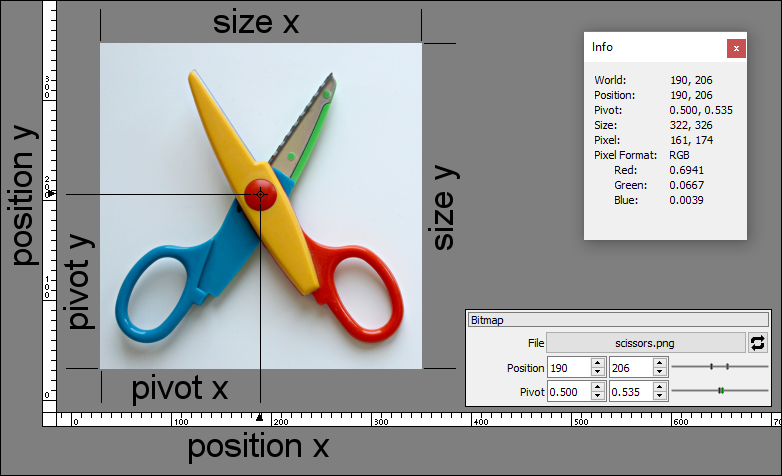 The image pivot defines the relative position where the image is attached to the canvas. The [0.0, 0.0] point of the image is at the left-bottom corner, and the [1.0, 1.0] point of the image is at the right-top corner. 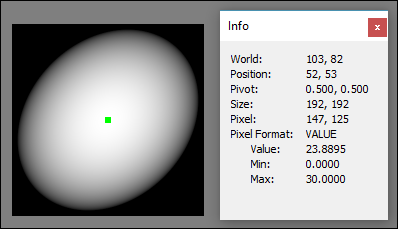 Values lower than 0.0 and larger than 1.0 are supported and represent a pivot that is located outside the boundaries of the image. 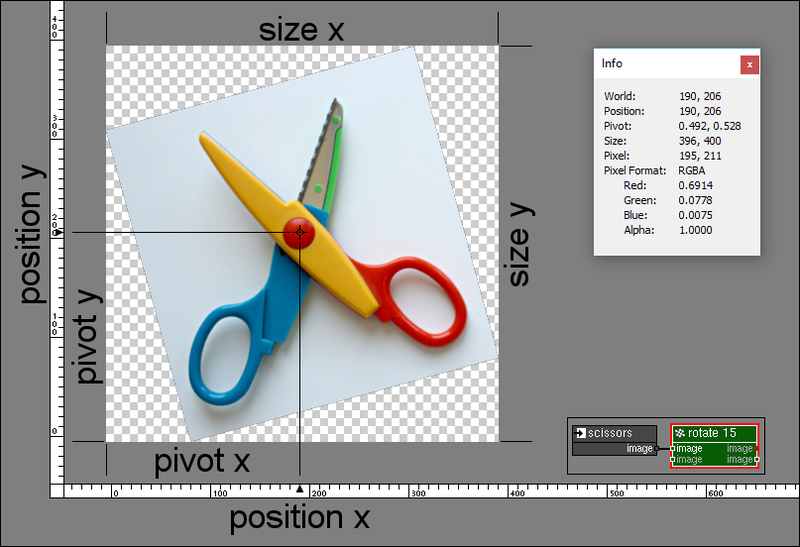 The image position is the position of the Image Pivot in the canvas. All nodes in PixaFlux respect the image pivot and position and keep the image attached to the canvas on the same location. For example, in the above image the sissors have been rotated 15 degrees around their pivot (local rotation) but the location of the pivot in the canvas hasn't changed. This means that the Transform node applies the rotation and modify the image size and pivot to compensate. The image position can be modifed using nodes like Transform and Reframe. The image pivot can be modified using nodes like Set Pivot and Reader. The image size can be modified using the Resize node. Each pixel in the Image defines a particular type of information. PixaFlux supports pixels of Color, Normal and Value. In PixaFlux Images have an unique pixel format. The pixel format defines how the information is stored in each pixel and what it is. Each pixel represents a color and opacity. 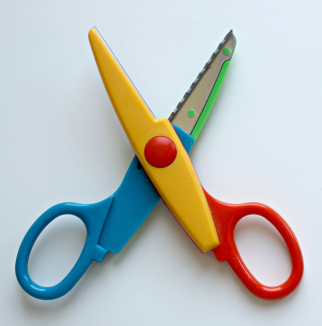 Colors can be represented in many ways: Monochromatic, Red-Green-Blue, CieLab, etc. These representation requires one or channels to define the color. M: Monochromatic. Grayscale images. One channel per pixel. MA: Monochromatic-Alpha. Grayscale images with opacity. Two channels per pixel. RGB: Red-Green-Blue. Color images. Three channels per pixel. RGBA: Red-Green-Blue-Alpha. Color images with alpha. Four channels per pixel. HSVA: Hue-Saturation-Value-Alpha. Color images with alpha. Four channels per pixel. LABA: Lightness-A-B-Alpha. CieLab color images with alpha. Four channels per pixel. See ToM node, ToRGB node, ToHSV node, ToLab node. Each pixel holds a 32 bit floating-point number. The Image Properties of Value images include a Minimum and Maximum value that is set after an image operation has created or modified. The minimum and maximum values are used to display the image on the viewport (mimimum is black and maximum is white) and to convert the images to a color image. If the minimum and maximum properties are within the 0.0 - 1.0 range, minimum is set to 0.0 and maximum is set to 1.0. VALUE: A 32 bit floating point value. PixaFlux includes a large set of nodes designed to work on image of Value type: Value Nodes. These nodes modify the images without clamping or saturating the image as happens with images of Color type. 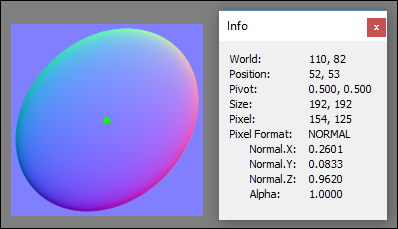 The normal pixel format stores a vector known as normal, which represents surface variations on 3D models. The vector is usually normalized, meaning that the lenght of the vector is always 1.0. The XYZ channel values of the normal can range from -1.0 to 1.0. The normal pixel format also has an alpha value, which can be use when blending two normal images. NORMAL: Normal-Alpha. Normal images with opacity. Four channels per pixel. Many nodes in PixaFlux are Pixel Format agnostic, meaning that the result their produce is not affected by the pixel format, and the pixel format is not affected by the node operation. Other nodes work correctly only on images of a defined pixel format. For example, the Normal nodes work correctly only on images of Normal type. Other nodes convert the image automatically from one pixel format to another. For example, the Value nodes convert the images to Value type. When two or more images of different pixel formats are composed using nodes like Blend or Mix, the pixel format of the first input image defines the pixel format of the output image. The pixel depth is the size of the data for each pixel. 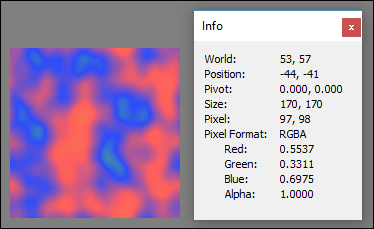 In PixaFlux each image pixel has a 32 bits depth per channel. Giving superb quality.